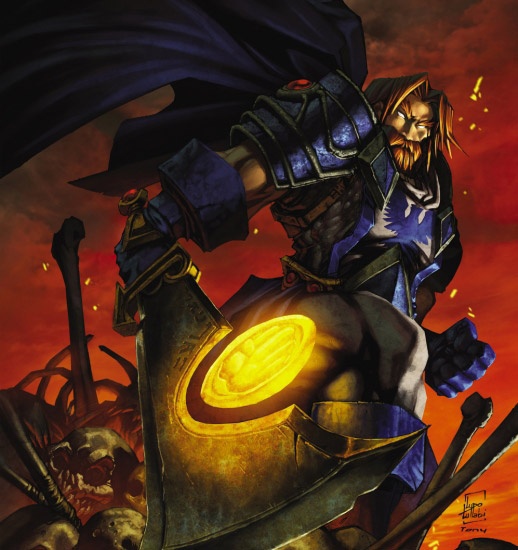 As the 9 million players of World of Warcraft (the most popular multiplayer online game) eagerly await the games new expansion, Wrath Of The Lich King, WildStorm and Blizzard have created this hardcover graphic novel that takes readers inside this new realm. 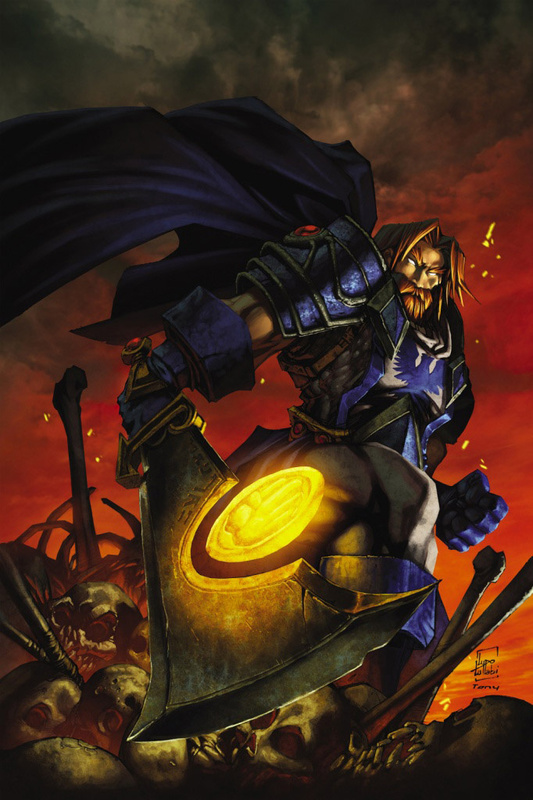 Written by Blizzard Creative Director Micky Neilson and featuring art by Ludo Lullabi and Tony Washington, this rollicking adventure follows as the Lich King’s plague of undeath ravages the human kingdom of Lordaeron. Hidden away, a mighty blade is forged from a dark orb! In the hands of Highlord Alexandros Mograine, the blade will become legend. In time, both blade and man will become . . . Ashbringer.